You love it! You hate it! You just can’t deny the trend. From Kendall Jenner to Bella Hadid, Rihanna to Beyoncé or even Malia Obama’s new boyfriend! it’s almost everywhere. Tiny sunglasses have been the most recent and the biggest trend of 2018, with many of them going crazy over it, the other half is still wondering why did it start. Mindy Kalling tweeted,’’ We will regret the tiny sunglasses”, can’t deny that this trend is receiving hate by both celebrities and the commoners, but people are still convinced to buy a pair. Tiny sunglasses, also known as slimming shades or micro-half moon shades are different from normal eyewear. Used more as a fashion statement, tiny sunglasses cannot protect your eyes from sunlight. Using microlens with the width being less than 30mm and the diameter being that of a normal eyewear, tiny sunglasses usually sit below the nose bridge failing to cover the whole eye. 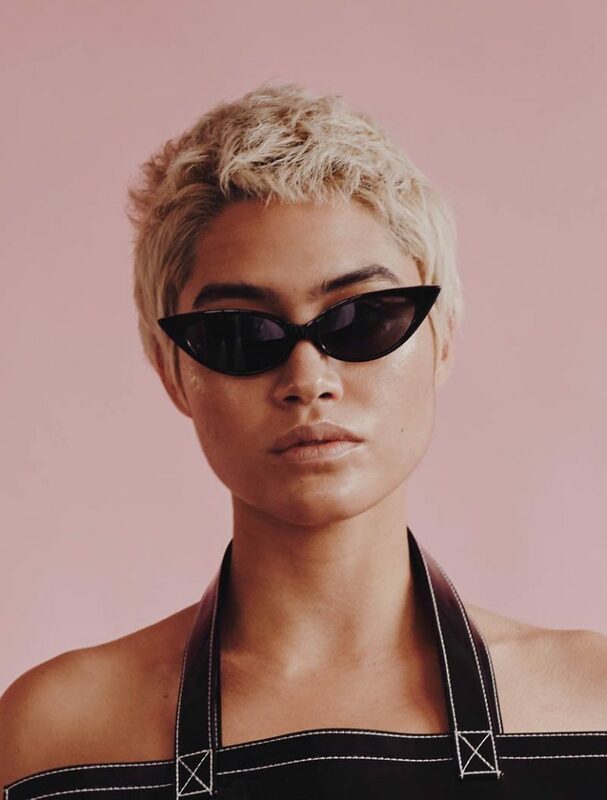 The tiny sunglasses trend can be traced back to the 90’s, where people were going gaga over the ‘The Matrix sunglasses’, those iconic thin sunglasses sported by Keanu Reeves and crew instantly became a bandwagon. Well, after so long, they are back! The first-time appearance of Matrix sunglasses was seen at Balenciaga’s Fall 2017 show. Not to forget how these sunglasses had a special mention in one of the ‘Keeping Up With The Kardashians’ episode where Kanye West sent an email forbidding Kim Kardashian West from wearing big sunglasses and to follow ‘micro-half moon glasses’ trend. The then Kendall Jenner Paris Fashion Week set the mood to this gen-new eyewear. When it comes close to India, we certainly don’t backslide following the top most trends. Many A-listed models, bloggers, influencers, actors, and actresses clenched to embrace the shade. Famous sisterhood of Rhea Kapoor and Sonam Kapoor were found slaying the shade. By pairing the trendy sunglasses in a stunning red carpet appearance, Kangana Ranaut set the bar. These tiny sunglasses are surprisingly trending so much, celebrities were actually seen wearing them in important annual festivals like Cannes Met-Gala, Red carpet and even Met-Gala ! Glamorous, fashionable and captivating, the influence is undeniably incredible. Kylie Jenner donned a small silver cat eye sunglasses for Met Gala 2018! Keeping her look simple and makeup light while wearing all black, the only accessory she wore, or we can say slew! was the exclusive golden sequin sunglasses. Those tiny sunglasses were not only her only accessory, but it was enough to give her the glamorous chic look. When it comes to slaying an event with the choice of her outfits, how can we not mention Rihanna? She stunned everyone with her sartorial look, she wore a slender white pair on the Cannes Film Festival to match her gown. The singer set Cannes on blaze with her gorgeous white Dior gown and completed the glamorous look with the chic retroactive eyewear. The slender pair and white bordered sunglasses were absolutely complimenting the gown. Kangana Ranaut definitely did not disappoint us with her red carpet debut at Cannes 2018. The actress looked red-hot in her vegan leather Nanushka dress. She paired the edgy number with great élan and teamed it with Poppy Lissiman glares, Neous’ famous Psycho mules and a black tote. Believe it or not! 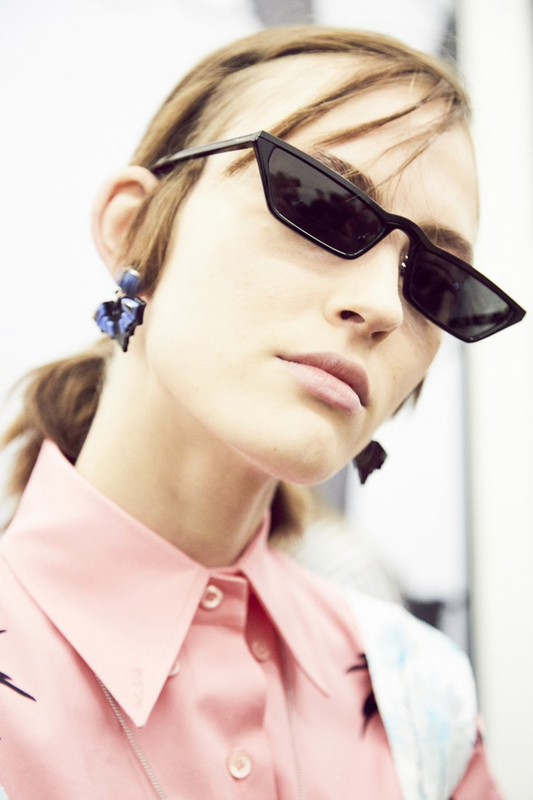 This hot recycled trend of tiny sunglasses is definitely something that the fashion police would approve!